There is no catch... The WordPress alternative you've been looking for has arrived. I've heard this phrase from more than one of the creative teams I’ve met with over the past year. And who can blame them for being skeptical? In a Wordpress world, it has become almost blasphemous to suggest that there is alternative worthy of replacing the sacred ‘go to’ platform. The truth is, a lot of my peers have been in the trenches so long, they’ve never known anything different. Their time is spent wrangling plugins, warding off security threats and juggling the onslaught of updates (that only seem to happen during the most inconvenient times). While this has become the ‘norm’, it’s not exactly ideal for anyone – especially your clients. Our design agency needed a better Wordpress, and until now, it did not exist. Our goal is to deliver a best-in-class solution. 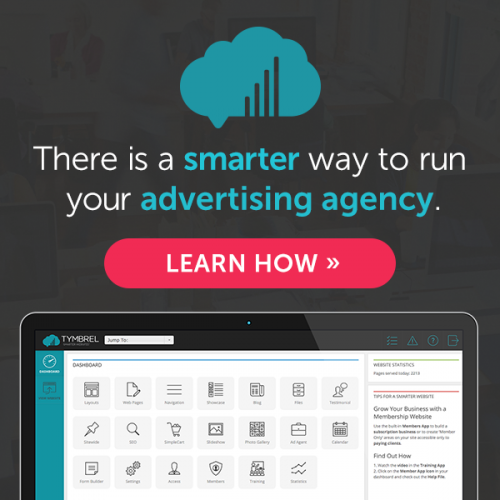 One that makes Wordpress obsolete for agencies and digital marketers. There are no contracts or hidden fees. Training and support is really unlimited. And your team won’t spend hours coding specialty items, because they’re already built-in. The truth is, Tymbrel is going to re-invent the way agencies build websites. I could give you a hundred reasons why Tymbrel made a difference for our team, but the fact is you need to get your hands dirty and try it yourself. Sign up for a free trial, or request a demo and learn how Tymbrel will work for your team.